The Dock has been a super-convenient staple of OS X for years now, and this time we have a question from a reader who wants to know how to assign the dock to multiple monitors at once. That exact feat isn't possible, but there's an important trick you should know that's every bit as good. I've just started using multiple monitors with my Mac. But my question is, how do I get the Dock on each of the three screens, or is that impossible? OS X Yosemite introduced a lot of great multi-monitor features, including the ability for the menu bar (the bar at the top of the screen in OS X) to appear on all of your connected displays. 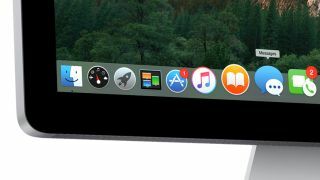 Unfortunately, you can still only get the Dock on a single display at any given time, but with OS X Yosemite and OS X El Capitan, you can easily show the Dock on any screen regardless of the default display designation. When you're mousing around on a particular display and the Dock is on another display, simply hover your mouse down near the bottom of the screen and the Dock will jump to your current display. It's that simple - it'll stay there on that monitor until you either restart your computer, or move it to another display by performing the same step. Another important thing to note about the Dock is that you can change the default display by going to Apple Menu > System Preferences > Displays > Arrangement. Dragging the white menu bar to another monitor will change the default monitor that the Dock and menu bar is displayed on. In this area, you can drag the white menu bar that appears on one of the displays to the display you wish to be designated as the "default" monitor, which will act as the initial home for the Dock in OS X.